Bread & butter plate, 6" diameter. 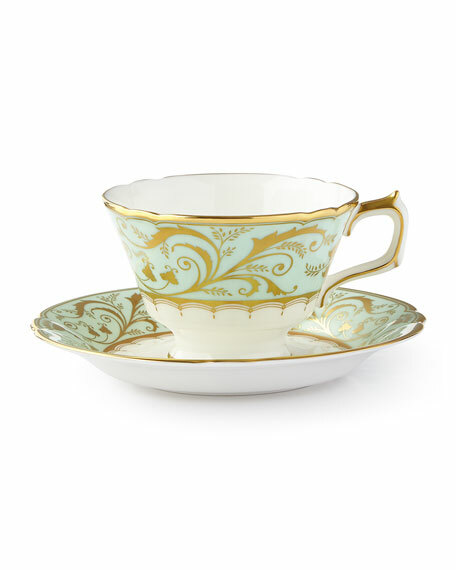 With fluid scalloped edges, this tea cup looks positively vintage as part of a set or on its own as a gift. Capturing the regency style of restrained simplicity, the Darley Abbey collection is inspired by the 18th Century and uses delicate lines and intricate curves to entertain any occasion but especially for afternoon tea. 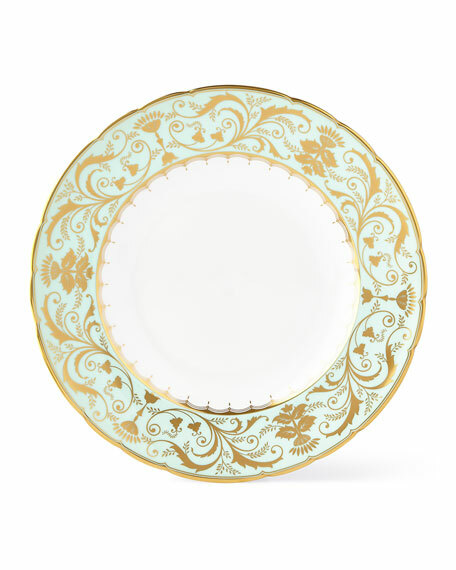 With fluid scalloped edges, this saucer looks positively vintage as part of a set or on its own as a gift. 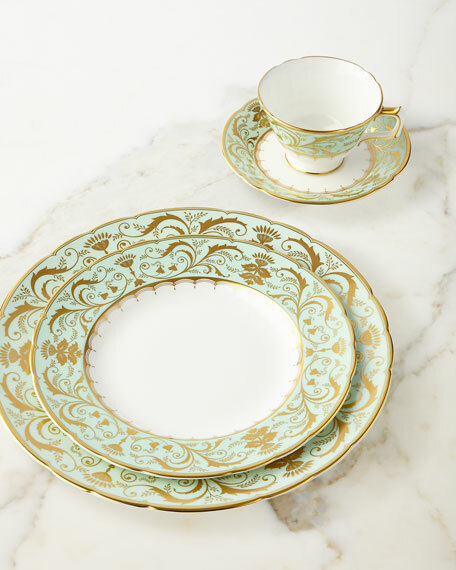 Capturing the regency style of restrained simplicity, the Darley Abbey collection is inspired by the 18th Century and uses delicate lines and intricate curves to entertain any occasion but especially for afternoon tea. 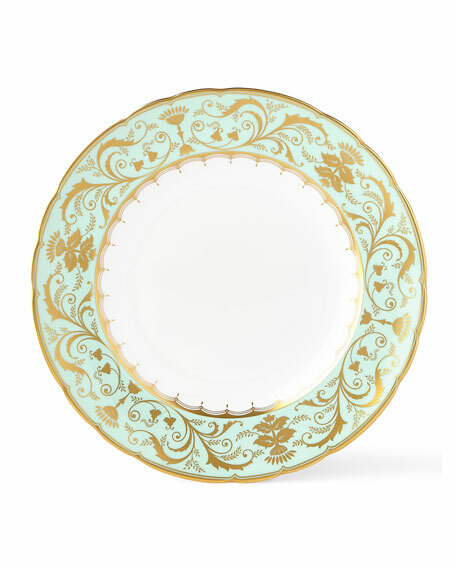 Perfectly round, this dinner plate is an ideal finishing touch for sophisticated dining. 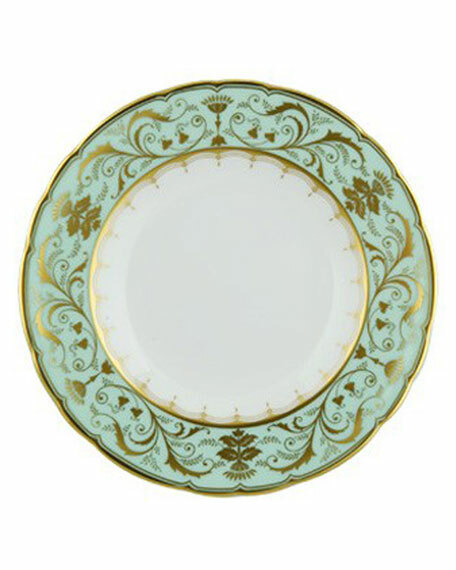 Capturing the regency style of restrained simplicity, the Darley Abbey collection is inspired by the 18th Century and uses delicate lines and intricate curves to entertain any occasion but especially for afternoon tea.